Music is life. And it is especially true these days when technology allows one to have their music with them at all times. But, how do you get the best music experience when you are traveling? Surely you can use your bass boosted headphones and don’t care a cent about what is going on around you. But, what if you want to share your music with others? What if you want to party on the go with your group of friends? Then the only option you have are Bluetooth speakers. I know some of you out there would argue about using a smartphone speaker. However, your smartphone doesn’t pack that kind of power to give a decent enough audio output for a gathering and hence I would suggest keeping your smartphone out of that kind of embarrassment. 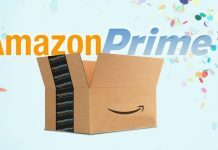 So, if you are interested in buying a Bluetooth speaker, this article will help you find one and also what you should look for in order to get the best bang for your buck. What to consider when buying Bluetooth Speakers? The two most important things to consider when buying a Bluetooth speaker are audio quality and battery life. These are the prime factors which should affect your buying decision. Other factors which you may take into account are connectivity options apart from Bluetooth, waterproof capability, multi-device synchronizing capability, bass boost, etc. All of these are secondary though and would vary depending on the use of the speaker. 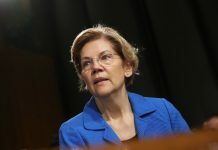 Certain scenarios demand the speaker to have certain qualities. You would want a water and dust proof speaker with long battery life when you are out adventuring but you may want multi-pairing or similar capabilities when you go to a party. One thing to keep in mind is the trade-off. If you buy a small sized speaker you will get more portability but less power and battery life and similarly fewer features in general. A larger one would pack more battery and more features. Everything boils down to convenience and budget. There are tons of options out there in the market and it can get really hard for one to go through all of them to select the best-suited product. Thus, we are here to ease your work and present you a list of some of the best Bluetooth speakers in the market at present. 1. It is the most effective way to share music within a group when you are on the move. 2. You can connect multiple devices to allow multiple people to play music (not simultaneously of course). 3. Some Bluetooth speakers allow you to daisy chain similar speakers in order to amplify the total audio output. 4. Loads of party and fun for hours without worrying about power cuts. The Boom 2 from Ultimate Ears is a worthwhile speaker to take a look at. It is not a directional speaker like most of them out in the market. It boasts of 90dB sound intensity in 360 degrees. Not all Bluetooth Speakers are water resistant but UE Boom 2 comes with an IPX7 rating which makes it waterproof for up to 1 metre and also dust and dirt proof. It also comes with a rated battery of up to 15 hours. That is some serious duration for a party if you ask me. You also get Siri and Google Now voice integration, so, just “Say it to Play it” with voice commands. There is also an option to pair this speaker up to simultaneously 8 devices at once. You also have the ability to pair two UE Boom 2s to a single device for amplified audio output. 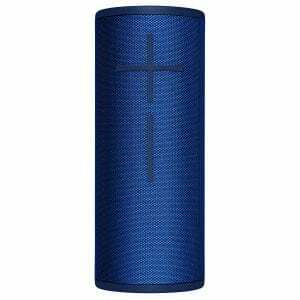 If you can shell out a little bit extra, then the updated brother of UE Boom 2 from the same Boom series should be your choice. UE Boom 3 packs some minor but worthwhile upgrades when compared to UE Boom 2. There is extra ruggedness on this speaker thanks to its robust design which makes it drop proof (according to Ultimate Ears). The best part about it may be the ability to connect more than 150 plus UE Booms/Megabooms simultaneously. Talk about a freaking huge party. Who needs a mountain-sized woofer when you can connect so many of these little wonders? The battery life is the same as that of UE Boom 2 and gives about 15 hours of playback time. Connectivity is achieved with Bluetooth only. However, you get a bungee hanger on the speaker to strap it to your backpack when you are out adventuring. 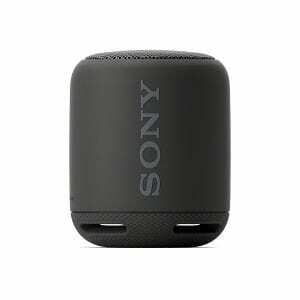 Sony has done a great job when it comes to Bluetooth speakers. If you are looking for something really compact but still packs a punch, the XB10 is the Bluetooth speaker for you. Despite the small form factor, it has good sound quality with bass boost. It doesn’t compromise on battery side too, giving you up to 16 hours of battery life. You can use it without worrying about it getting wet as it comes with an IPX5 water resistant rating. It even allows another XB10 to simultaneously connect for stereo sound. Pairing is also made easy with one-touch NFC. Not many Bluetooth speakers give you that ease and even if they do, they aren’t budget friendly. This should be the speaker for you if you don’t want to spend a ton but still want a more than decent experience. If you are not into small form factor and want to stand out in the crowd, the JBL Boombox is for you. As the name of this speaker suggests, it is undoubtedly a powerful boom box. Housing a massive 20,000 mAh battery that gives you a playback time of almost 24 hours, this is a monster in its class. However, don’t even think for a second that JBL would have compromised on the build quality of this behemoth in any way. It is IPX7 waterproof rated and is rugged enough to survive the wildest of parties. It is able to deliver a monstrous sound thank to 4 active transducers and 2 bass radiators. A must buy for bass heads out there who love to party. Mind you though, it won’t show any mercy to your pocket. 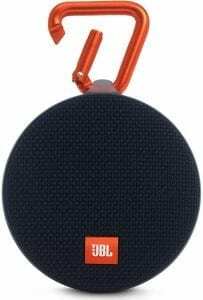 If the Boombox is a bit of an overkill for you, you can opt for the Flip 4 from JBL. It isn’t as hefty as the Boombox and still manages to deliver impressive audio in terms of quality. It gives you up to 12 hours of playback when fully charged. On the network side, you can connect up to 2 smartphones or tablets to the speaker. It is also similarly IPX7 rated for waterproofing like its elder sibling. An interesting thing to take note would be that you could connect more than a 100 JBL Connect+ enabled speakers for a really amplified party experience. It also supports Siri or Google Now from the simple push of a button. JBL literally has speakers for all the budget and size options. 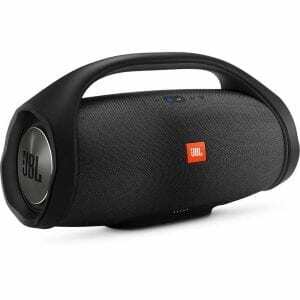 And if you are looking something extremely portable, JBL Clip 2 is the speaker for you. It is really small and pocket-friendly, is a lot cheaper than the other JBL speakers you have read about till now, and still manages to give you 8 hours worth of music playback. It is as rugged and waterproof as its siblings and comes with an IPX7 rating. There is a built-in carabiner to help you hook the speaker to anywhere you see fit and carry it with you on your adventures. It supports daisy chaining up to 2 Clip 2 speakers for amplified sound. JBL has also made your job a lot easier if you still have a smartphone that has a headphone jack. If you don’t want to waste too much battery via Bluetooth, then you can use the integrated 3.5mm audio cable to plug it into your device. This is something different from a conventional directional Bluetooth speaker. The Bose Soundlink Revolve is (as you would have already guessed) a 360-degree speaker which delivers all-round sound for consistent and uniform coverage. 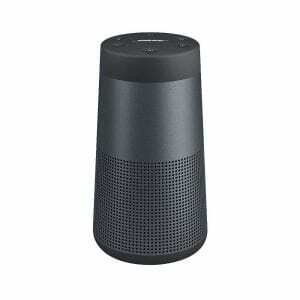 There are two versions of the Bose Soundlink which you can buy. One is Soundlink Revolve which comes with up to 12 hours of battery life and another is the Soundlink Revolve+ which comes with up to 16 hours of battery life and also a fabric handle for easy portability. There’s also a multi-function button to allow you access to Siri or Google Assistant right from the speaker. You also get an additional 3.5mm auxiliary input so you can use that very famous headphone jack on your phone. Soundcore Flare from Anker is another 360-degree sound speaker. One of the notable things about this speaker is the one button bass. The BassUp technology utilized by the speaker enables one to up the bass of the sound being played with just the push of a button. There is also an LED strip at the bottom of the speaker because why not? It is 2018 and everything needs to be LED. It has a 5 colour theme for every occasion. You can easily control and customize the device with the all-new Soundcore app which is available for both Android and iOS devices. 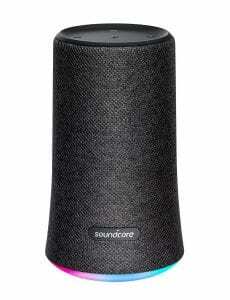 Soundcore Flare also supports synchronous play of 2 speakers for amplified output. It is as waterproof as the JBL and comes with an IPX7 waterproof rating. The battery on the Soundcore Flare gives you a playback time of up to 12 hours while it takes around 3.5 hours to completely charge it back up. The Beoplay P2 from Bang and Olufsen is a really minimalistic looking Bluetooth Speaker which surprisingly doesn’t cut corners when it comes to audio quality. You get a variety of colors to choose from. It has voice activation and the device is customizable using the Beoplay app. The shell itself is pretty durable and is made of anodized aluminium. There are also smart gestures like tap and shake for play/pause and skip tracks. The battery in Beoplay P2 comes with a built-in heat protection circuit and gives you up to 10 hours of playback time. This device also charges faster courtesy of USB-C cable which comes included in the box. 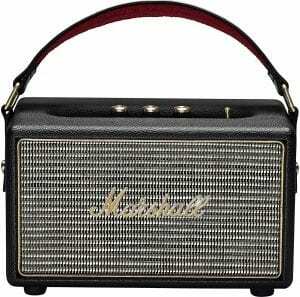 If you are more into retro looking speakers, then you can’t go wrong with Marshall Kilburn. It looks like a music player from the 80s era and comes in two colors, black and white (creamy kind of white). This vintage styled speaker is a hefty 3kg machine with a playback time of around 20 hours. There are analogue dials to fine-tune your music experience. They allow you to control the bass and treble of the playback. On the connectivity side, you get both Bluetooth as well as 3.5mm jack compatibility. There is also a guitar inspired leather strap which makes it easier to carry it around. You can get a maximum sound level of around 100dB. The final decision is entirely up to you. 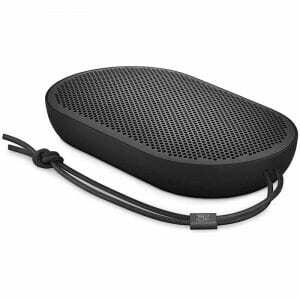 We have presented you with the list of some of the best Bluetooth speakers out there in the market. They cater to every price category and even all the needs. You may prefer more battery life or better portability. It is worth noting that some speakers allow you to daisy chain only a few of them while others allow for more than a hundred. That could really mean a lot in terms of getting the party going. We would suggest to compare and contrast all the speakers based on your taste and then decide. Because you won’t be buying a speaker for a month or two. It is going to be with you for a couple of years and hence you need to take that into account while making your buying decision. 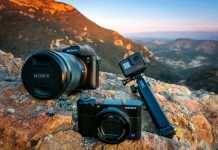 Nevertheless, you won’t go wrong when you buy any of the above-mentioned products as they are some of the most popular options out there in the market and with attractive features too.